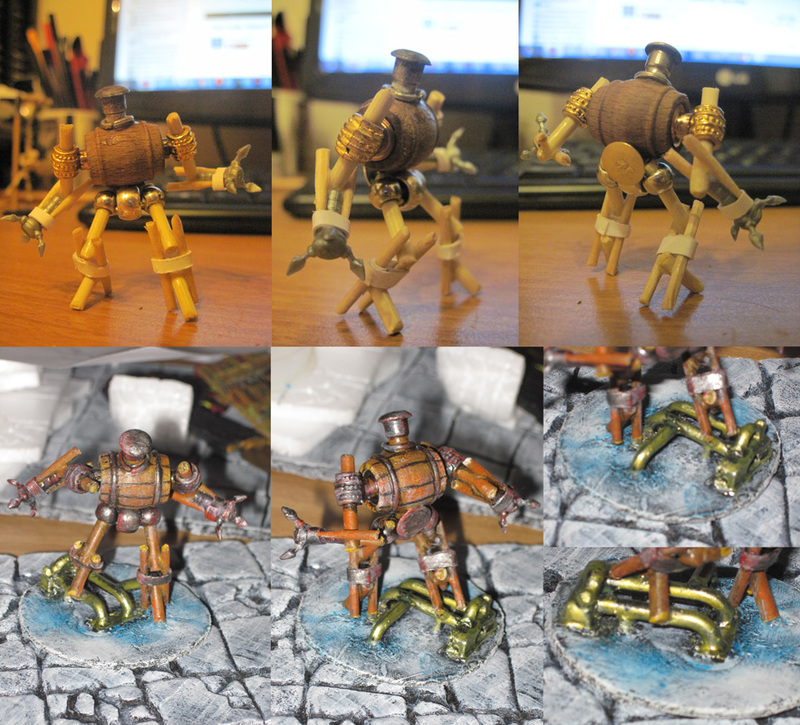 some sort of robot or golem for my d&d campains. nice, it hits a nice balance between steam punk and animated scrap pile, something that looks like it's at least partially mechanical but must have some kind of magic in order to move. Is it articulated at all? It is a solid piece.